These little bunnies are ready to jump out and play with you! 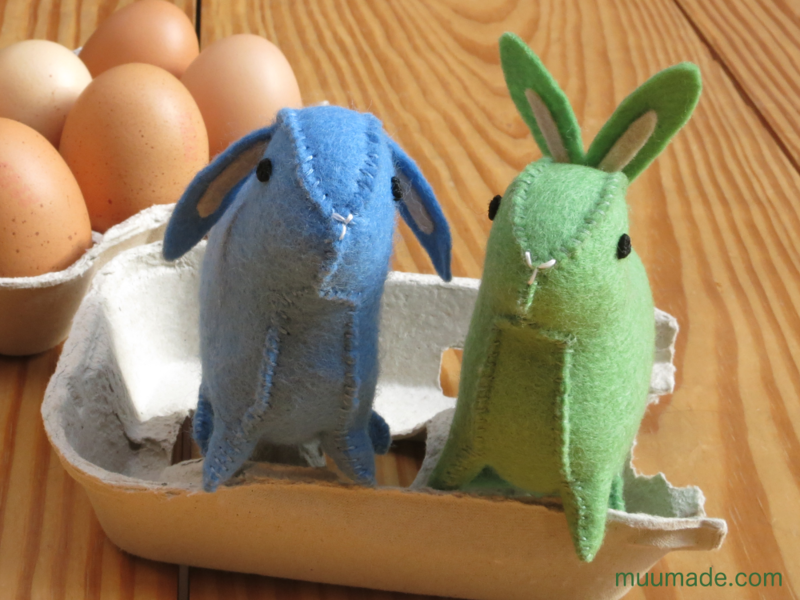 This download includes patterns for both types of bunny, upright-eared and floppy-eared. 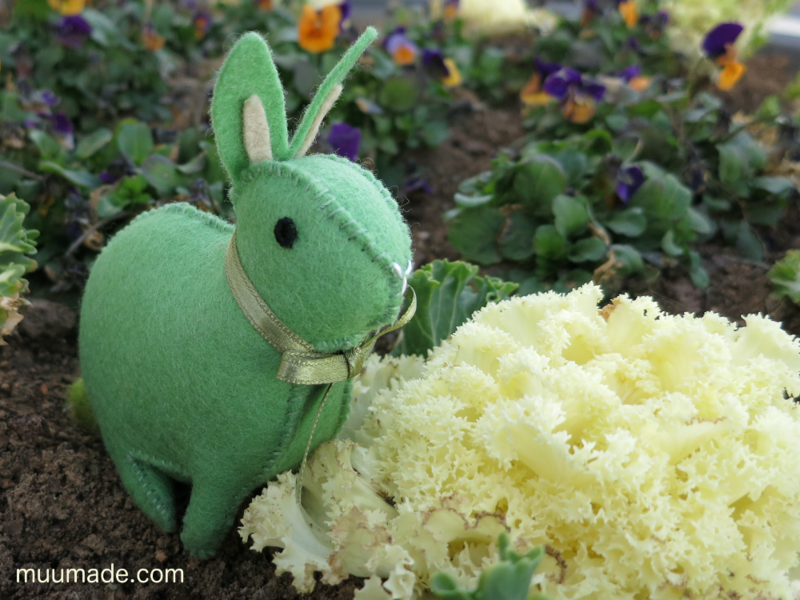 My daughter and I named our upright-eared bunny Mint. She loves to play hide and seek, especially in green fields. Can you guess why? Her green color hides her really well among the green grass and bushes! What color would you like to make your bunny? This is Mint’s younger brother, Sky. He is a gentle bunny with a big dream. He would love to fly like a bird in the blue sky! 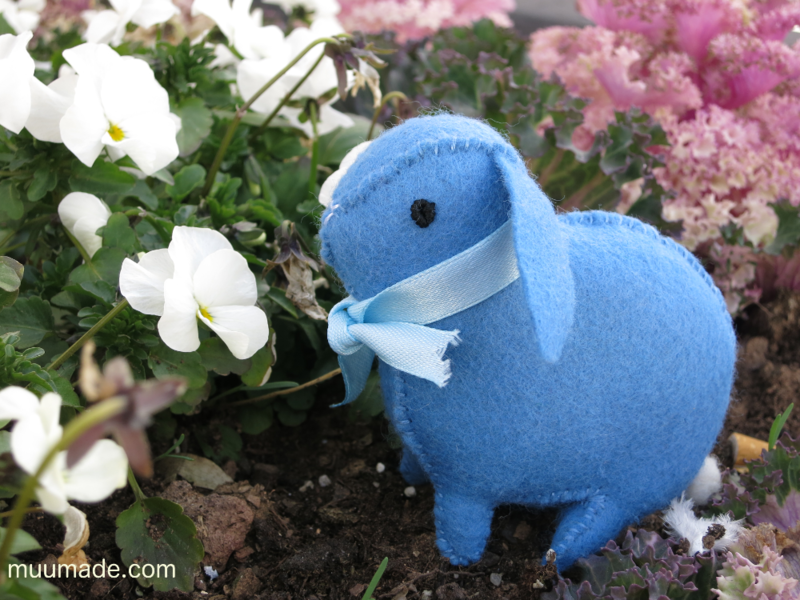 In one of my blog posts, “The Making of the Little Felt Bunny,” I share the story of how the Little Felt Bunny came about.